The days of engaging donors through many events and gatherings have turned into big investments and may not create the big payoff. As a nonprofit with limited funds and resources, organizing, running, and profiting from an event is not an easy task. So as a nonprofit, you may be asking yourself what other options do I have and how do I recession proof my organization? To reduce risk, many nonprofits are moving to online donor management systems that include inbound marketing. Everyone is online with 80% of B2B and B2P investments beginning online according to Entrepreneur Magazine and Adweek. In nonprofits, online activity is heaviest on social media and blogs. 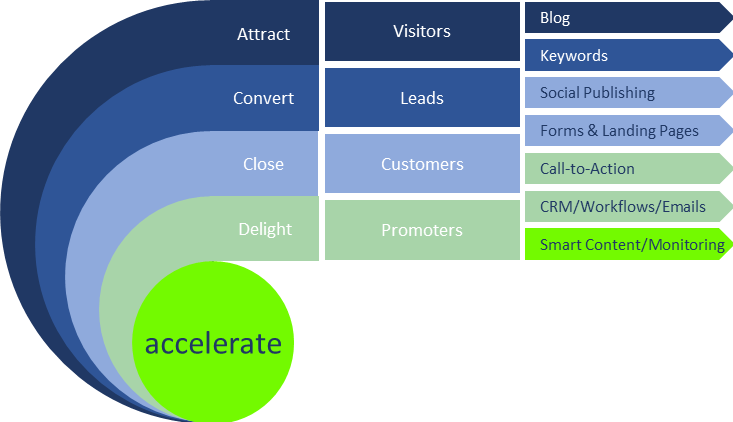 So, what is inbound marketing? It is marketing that focuses on attracting customers through relevant and helpful content and adding value at every stage. With inbound marketing, current and potential donors find you through channels like blogs, search engines, and social media. Since recessions are reoccurring and inevitable, it is practical to invest in a moderately priced inbound marketing strategy. Using a powerful software solution that is subscription based (referred to as SaaS, software as a service) to grow your client base is a powerful and cost-effective solution. As a nonprofit, a popular and cost-effective SaaS would be Salesforce Nonprofit Success Pack (NPSP) integrated with Pardot™. Salesforce NPSP is configured out of the box for nonprofits and sits on top of the Lightning Enterprise Edition. It provides complete Salesforce Customer Relationship Management (CRM) and tools to help manage programs, donations, volunteers, and supporters all in one place. Your first 10 subscriptions are FREE for qualified customers. Pardot™ is the #1 B2B marketing automation solution for Salesforce customers to see how you can grow your pipeline through increased engagement. It allows you to build integrated marketing journeys including drip campaigns, generate more high-quality donor leads, report on campaigns, and more. In addition, with automated communication, it is easier to show gratitude for their giving. 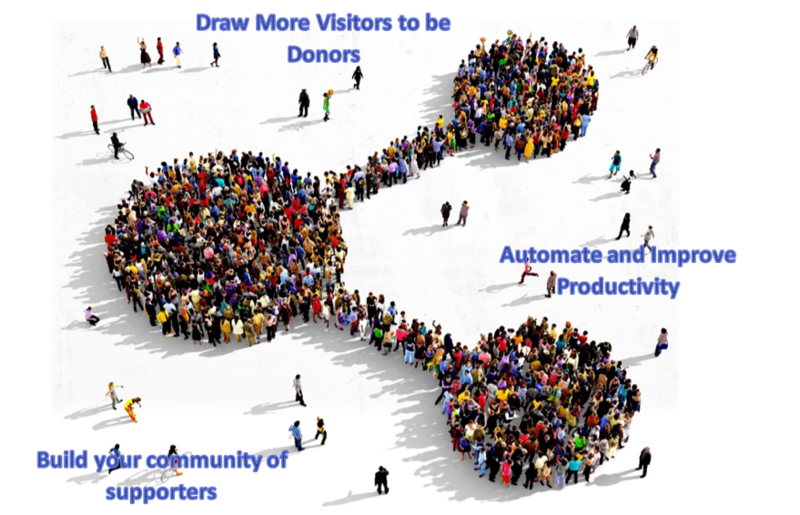 Retaining and engaging donors through a donor management system gives you a 360-degree view of your donors and inbound marketing keeps donors engaged and lets them know they are part of the team. 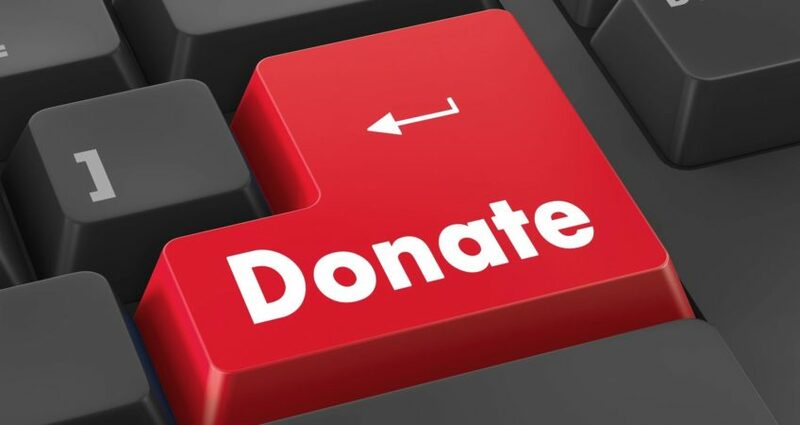 For more information about using Salesforce and Pardot™ to expand and track your donations, please contact us at info@servioconsulting.com or 815-770-2666. Servio Consulting, LLC is a registered salesforce.org consulting partner and a certified Women-Owned (WBE) IT consulting firm. Our highly-skilled and experienced team of technical and business process management consultants utilize a proprietary framework that facilitates collaboration, alignment, and integration of technologies with internal policies and procedures, project implementation and execution, and ongoing solution management services for continuous improvement. 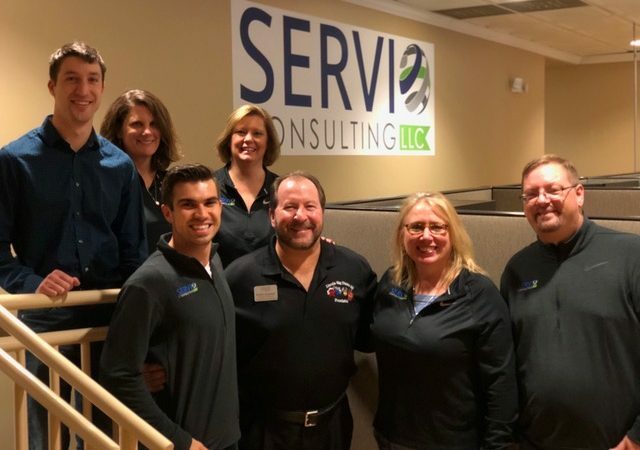 The Lincoln-Way District 210 Foundation for Educational Excellence and Servio Consulting, LLC have successfully partnered to implement Salesforce as the Foundation’s customer relationship management (CRM) system, which will allow for streamlined donor management, event management and marketing initiatives. This implementation replaced the Foundation’s fragmented legacy system with one single platform that will centralize and integrate the Foundation’s data management needs into a cloud-based system which tracks and manages donors, events and marketing all in one place. “Servio Consulting is committed to assisting Nonprofits and Educational Institutions with cloud-based technology solutions to assist in achieving the organizations mission. Our goal is to help improve efficiencies, streamline processes, programs, operations, and increase an organization’s overall impact,” said Nancy Cooper Servio Consulting’s CEO. The mission of the Foundation is to creatively generate financial support with which to enrich and enhance the opportunities and educational experiences of Lincoln-Way High School District 210 students. “The Foundation recognizes the need to build strong relationships and dramatically increase the ability to connect with our constituents in a more meaningful way”, said Bob Kennedy, Executive Director. Partnering with Servio to begin utilizing the Salesforce platform technology will enable the Foundation to more efficiently meet these goals. “I feel like Servio really took the time to understand who we are, what we do and why we do what we do, and then they applied that knowledge into developing a product for us that truly met our need,” said Bob Kennedy, Lincoln-Way 210 Foundation Executive Director. Through the Salesforce Power of Us product donation program, Lincoln-Way Foundation joins more than 32,000 Nonprofit organizations and Educational institutions using Salesforce. Servio Consulting continues to participate in community events by attending the Chicago Southland Chamber of Commerce Meet & Greet. We would like to introduce you to Blake Winkler (pictured, far left), who is an Associate Consultant at Servio Consulting. Blake is a key part of our business development team with a focus on working with non-profit organizations. Frankfort, IL, April 21, 2017 – Servio Consulting, LLC, an IT Management Consulting firm, was selected to implement a statewide Human Services Platform, Servio, for sixteen (16) Independent Service Coordinators (ISC). The ISCs are part of Illinois Department of Human Services (DHS), Division of Development Disabilities (DDD) who will utilize Servio as the statewide system of collaboration. The Servio Human Services Platform is native to Salesforce’s cloud based architecture. The Servio Platform positions DHS DDD and the ISC Agencies in Illinois for the future through the cloud-based platform that without question puts their Human Services Program staff in a position to assist and manage all clients, enabling them to provide the best possible service. In addition to case management and workflow automation, the reporting and analytics functionality within Servio’s solution provides ease of access and productive use of the data necessary to enhance support and management of their programs. Servio Consulting will work with each agency to review goals and functionality, then configure the Servio Human Services platform to meet the needs of their programs and staff. Servio is built on Salesforce, the world’s leading Cloud platform that enables Person Centered Services: This statewide implementation This statewide implementation will streamline State and Agency coordination and eliminate inefficiencies, saving the State millions of dollars while delivering more effective services. The elimination of the cost of printing, scanning, filing and discarding the printed files as well as other required data transactions will equate to a large ROI for the State and the ISCs once the Servio platform is implemented. In addition, it will improve efficiencies in the programs to ensure that constituents in Illinois are receiving the highest quality of care. This is a powerful example of the reforms that can be achieved through connected Public Sector and Nonprofits serving out communities, helping to fulfill their civil obligation to care for and protect the most vulnerable among us. Servio Consulting, LLC is a specialized IT Management Consulting firm focused on thought leadership to help organizations streamline their business processes to improve their bottom line through innovation and commitment to their success. Servio Consulting, LLC made a companywide commitment to Pledge 1%. Servio Consulting, LLC made a companywide commitment to Pledge 1%. Giving back is very important to Servio’s managing partners who are leading this important initiative with their active involvement in several nonprofit organizations. They are excited to confirm this commitment to Corporate Philanthropy by engaging employee involvement. 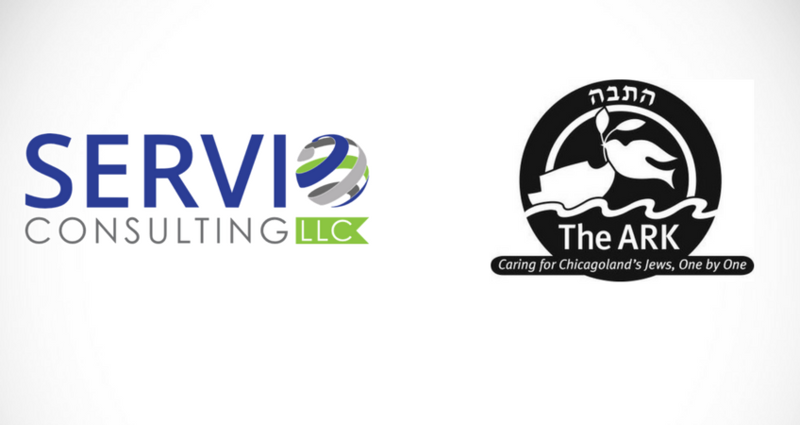 Servio Consulting, LLC provides all employees with 20 hours of Volunteer Time Off for the nonprofit of their choice. Frankfort, IL – Servio Consulting, LLC has once again been selected by one of Chicago’s most respected nonprofit health and human services agencies. Working with Salesforce.org, The ARK and Servio will be implementing the world’s leading cloud platform to serve citizens on Chicago’s North Side and Northbrook. Within a framework of Jewish values, The ARK provides free, wrap around services to disadvantaged or vulnerable households to support them in meeting their medical, social and financial needs, and attaining their optimal level of self-reliance. Servio will be delivering project management, business process re-engineering, organizational change management, requirements definition, Salesforce development, data integration, testing, training, and documentation. Servio will leverage the Salesforce Sales Cloud, Community Cloud, Nonprofit Success Pack (NPSP), and Wave Analytics Cloud to achieve The ARK’s goals. “We’re thrilled to partner with The ARK on this critical initiative that impacts so many in the community,” said Servio Managing Partner and CEO Nancy Cooper. The ARK is a not-for-profit, community-funded health and human services agency with facilities on Chicago’s North Side and in Northbrook. We recognize that many members of our Chicagoland Jewish family—Jews from all walks of life, from all parts of Chicagoland—are deeply in need of help and kindness. Hard times happen, life happens, and sometimes it feels as if there isn’t a safety net. We work with each person or family in distress to create a personalized and comprehensive care plan that draws upon The ARK’s wide array of free social and medical services under one roof. Our primary goals are to stabilize our clients’ situations and assist them in achieving the highest degree of self-reliance possible. While each year The ARK cares for approximately 4,000 people from throughout the Chicago metropolitan area, we acknowledge each member of our community as an important, unique individual. The ARK’s vital, tangible human services honor that individuality, and are delivered with the care, respect, empathy and loving kindness celebrated by our shared Jewish tradition. The ARK—Caring for Chicagoland’s Jews, One by One. Servio has earned a stellar reputation as a consulting firm that leverages expertise in both information technology and business strategy to develop comprehensive technology-based solutions that deliver measurable results. Our solutions are designed to drive clients forward by transforming processes, increasing operating efficiencies, and maximizing your return on investment. As a Salesforce consulting partner, we believe in execution and accountability. We help commercial, public sector and non-profit organizations use our systems to reduce their administrative costs by 50% and increase effective service delivery by 40%. We have a proprietary approach and software that automates service functions. Servio’s Human Services platform is native to Force.com and leverages Salesforce’s cloud based architecture. The CMS application provides users 24/7 access to their information from anywhere they have an internet connection. The application supports the case management process from outreach and intake through the reporting of services. Servio is headquartered in Frankfort, Illinois. For more information please visit our Web site at: www.servioconsulting.com.